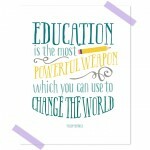 Nelson Mandela quote printable that would be the perfect touch for any classroom. 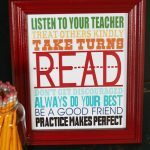 Click here to get this FREE Classroom Quote Printable from Simple Everyday Mom. 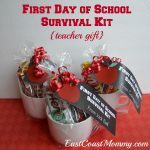 Give your teacher this Teacher Emergency Kit to wish them a great year! This kit contains hand sanitizer, chapstick, mints, and tissues. 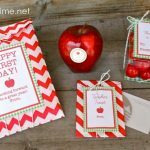 Just add to a cute container and print this printable for a great first day of school gift for teacher. 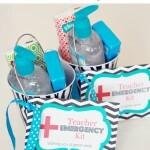 Click here to get this FREE Teacher Emergency Kit Printable from The Crafting Chicks. The perfect gift for any teacher ~ a Target gift card. This card holder is so cute and creative. Click here to get this FREE Target Gift Card Holder Printable from Landeelu. 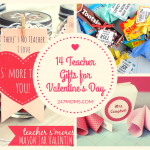 This sweet set of teacher printables is perfect for Back to School. Click here to get these FREE Teacher Printables for Back to School from I Heart Nap Time & Bloom Designs. 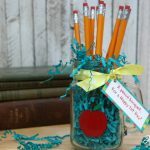 Simple and sweet gift idea for teacher for back to school – a pencil bouquet! 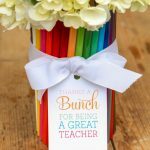 Click here to get this FREE Pencil Bouquet Gift Tag Printable from Mama Cheaps. Here’s a creative way to say thank you! Give an Amazon card with this printable card. 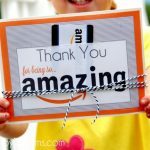 Click here to get this FREE Thank You with Amazon Gift Card Printable from Corduroy Dreams.